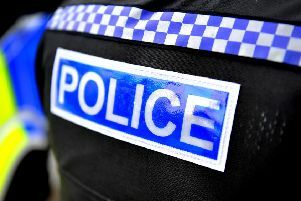 A man was stabbed during a fight involving a gang of 10 men in Crawley town centre yesterday. Police say they were called to the incident in the High Street just before 5pm. The victim - an 18-year-old - suffered what police describe as ‘a minor stab wound above the hip’ after he was approached by a group of 10 men ‘of Asian appearance’ outside Favourite Chicken. The man took himself to hospital after the attack. “We are committed to targeting people supplying class A drugs in this area and we want to reassure everyone that their safety is our priority. To report any information go online or call 101 quoting 1015 of 11/09. Alternatively, you can visit the Crimestoppers website or contact the independent charity anonymously on 0800 555 111.